Home Cisco- Routing and Switching Cisco- Service Provider MPLS vs SD-WAN: Which suits your organisation ? MPLS vs SD-WAN: Which suits your organisation ? Today I am going to talk about MPLS and SDWAN. As many of the companies trying to evolve their networks and want Next generation technology and they think SDWAN is the solution to get rid of MPLS environment. Is that a perception that SDWAN is the way to overcome the MPLS solutions ? MPLS has ability to transport packets and deliver a high Quality of Service (QOS). Generally, MPLS outshines at managing and evading packet loss, keeping a business’s most important traffic flowing. if your business regularly uses real-time protocols such as VoIP, video conferencing, or virtual desktops. Due to the high packet availability of MPLS, these systems can work without loss of quality or signal. Normally, the biggest hitch of MPLS is bandwidth cost. We have been encouraged into an age where clients and businesses are stirring through content that requires high levels of bandwidth, from videos to virtual reality and everything in between. When it comes to MPLS networks, bandwidth is a costly resource but the more bandwidth you use the cheaper it gets and some providers are now providing MPLS pricing that rivals SD-WAN pricing. While SDWAN has the prospective to diminish a enterprise's dependency on MPLS, the paybacks of the latter shouldn’t be sacked particularly if Quality of Service (QoS) is important to your business.With SDWAN, the big profits include improved global availability, visibility, scalability, control, and performance. It’s also easy and quick to implement, and bandwidth can be added or reduced as required. But possibly the extreme advantage is the cost factor. Both internet broadband and 4G LTE are much less costly than MPLS is some cases. And contrasting MPLS, you can easily upgrade by adding new links. Security is alternative big marketing point value. Many recent businesses like big enterprises and corporations incline to desire network systems that incorporate security, policy, and orchestration. Through unifying secure connectivity, SDWAN can delivers this. Enterprise business will also benefit from end-to-end encryption across the entire network including the internet as a transport layer. SDWANs don’t need to depends completely on private MPLS services. Instead, they associate branches though any type of data service, including xDSL, cable, 4G LTE, and even through Layer 2 or Layer 3 MPLS infrastructure. Consistency is the main demand mark floating over SD-WAN. MPLS networks usually offer extremely reliable packet distribution. On the other hand, when using SDWAN internet uplinks can irregularly fail. To guarantee that your business operations run efficiently, it’s suggested to choose an internet provider who can offer reliable consistency in their internet connections. While SDWAN make it simpler to tie to the cloud, there’s still the option of packet loss once you’re there. If you’re part of a digital business, this is one of the main areas you’ll want to consider when choosing between MPLS and SDWAN. Let's talk about the MPLS and SDWAN from price and swiftness, to the ease of use and scalability, the benefits of SDWAN can't be denied. The businesses that depends on cloud-based applications, SDWAN delivers direct access from any location. However, if QoS is important to you, or you have very specific connectivity requirements, MPLS might be the way to go. But if we need the high availability with the QOS, single dashboard, network visibility and Automation with application aware network, SDWAN as a overlay and MPLS as a transport layer is the right choice. 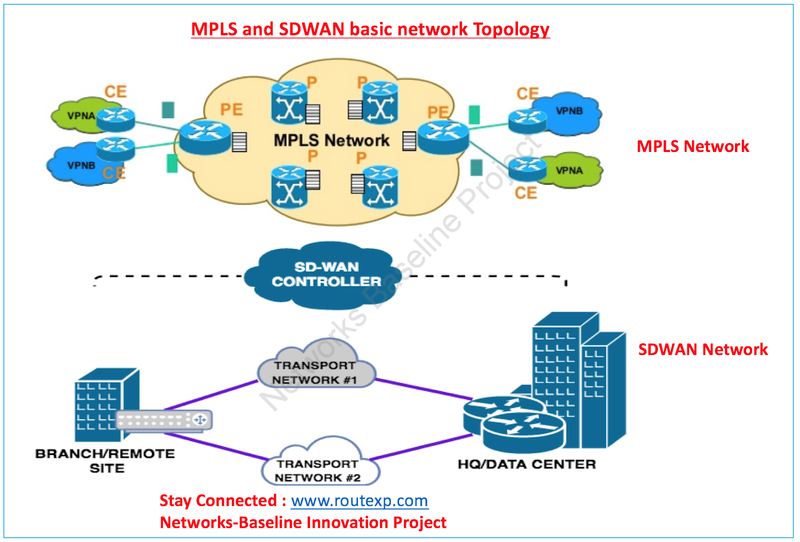 So as of now, Many Enterprises defining the SDWAN solution taking MPLS and internet as a transport layer between their sites. By doing this QOS requirements as well as the ease of the operation with network visibility resolved here.